Home Features Where Do Chelsea Go From Here? 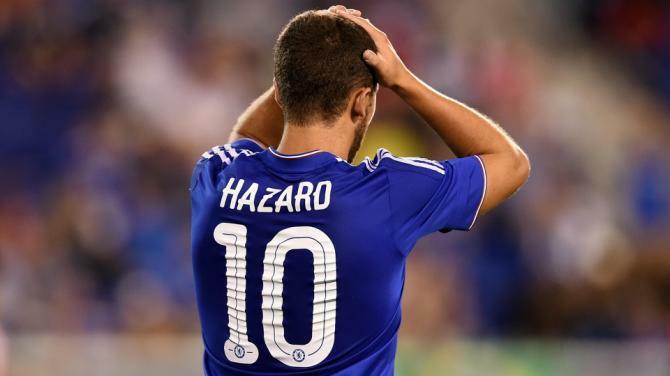 It wasn’t the type of transfer window that Chelsea fans would have hoped for. We know that. It’s almost difficult to describe and put into the words the level to which the Blues failed this summer. They lacked initiative during the most of the window. They quietly replaced outgoing players, Drogba with Falcao, Cech with Begovic, and Luis with Rahman. Mourinho also added several young talents, such as Kenedy and Nathan. Players were loaned out, and new contracts signed. That being said, they refused to do much more than that. Then, although most likely a reaction to their poor performance against Manchester City, the Blues went out a signed Pedro. By all standards, it was a masterclass signing from Mourinho and the Chelsea board. Yet, it wasn’t enough. They are still thin at the back, and lack another playmaker or two. There are fragilities sprinkled throughout the squad. And who did Chelsea sign on Deadline Day to attempt to add to their numbers? Papy Djilobodji. Probably a decent player and would be decent on several teams. But not for Chelsea, not when the expectation was to get Everton’s John Stones. They also failed to sign Pogba or a playmaker of his ilk. So now, given that the window is closed, and will not reopen until January, where can Chelsea go from here? First and foremost, the players who are off form need to improve. While cohesively Chelsea have been poor, there are several individual performances that have been worse than others. Eden Hazard is a match winner. It’s only been four games, but the Belgian hasn’t been at his best thus far. However, with 2 goals and a strong performance for Belgium, look for the 24-year-old to rediscover his form and help Chelsea win matches. Furthermore, Diego Costa needs to be more effective up top. The Spaniard had 7 goals thus far last season. While those were unexpectedly high, 1 isn’t enough either. He must do better, continuing to punish defenses, and get on the end of opportunites. He’s a clinical striker, and he needs to continue to dominate the Premier League. That being said, the opportunities haven’t been there as much for the Costa. And that is largely due to the struggling form of Fabregas. The 28-year-old has continued his poor form from the tail end of last season, and it is costing the Blues. He has been off, and they have suffered largely in creativity from a deep-lying position. This has put more pressure on Matic, as Chelsea see much less of the ball, forcing them to work harder to gain it back. Furthermore, Chelsea will need to get their defense back on track. Branislav Ivanovic has been nothing short of dreadful thus far this season. He’ll need to majorly increase his performance if Chelsea are to be successful. If he fails to do so, look for Mourinho to either move Azpilicueta over and give Baba Rahman a chance, or even start Kurt Zouma on the right. Either way, Chelsea cannot stand Ivanovic’s current form. John Terry will no doubt come through his slump at center back. I would be very surprised to see him continue to struggle. But if not, Zouma seems to be more prepared by the day. Either way, Chelsea will need a stronger backline if they are to succeed in their title defense. Finally, and to me the largest part of this puzzle, is the youngsters. Chelsea are going to need their less experienced players to step up and start to provide the spark that the Blues need. Guys like Kenedy, Traore, Loftus Cheek, Zouma, and Rahman. These are players that are ready to step up and there is no doubt the potential is there. But it’s time for them to provide the energy that the Blues are lacking. They need something fresh; something new and exciting. This will be imperative to Chelsea’s title success. Overall, Chelsea are off to a rocky start. There is no doubting they have their work cut out for them. That being said, it is possible for them to turn around their misfortunes. But it’ll take several factors to come together. They will need their young squad players to step up, while also asking for the stars of the team to start to put in world class performances. It is possible, but if it’s going to happen, it’ll need to start Saturday at Everton.